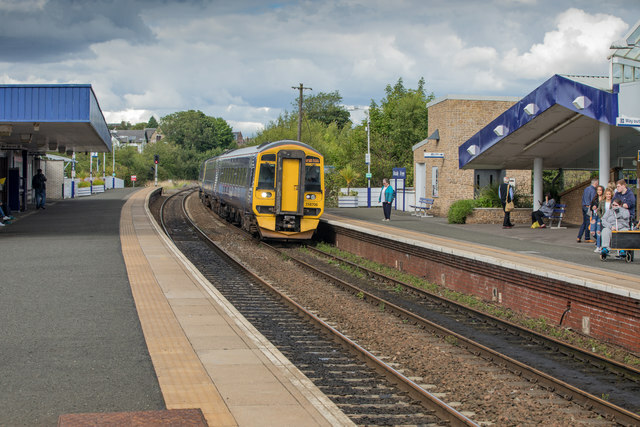 A Class 158 Diesel Multiple Unit train pulling into Platform 1 of Kirkcaldy Train Station in Fife Scotland. The final destination of this train is Edinburgh Waverley. Platform 2 is the Southbound platform. © Copyright Garry Cornes and licensed for reuse under this Creative Commons Licence.